Today we rode Mt. 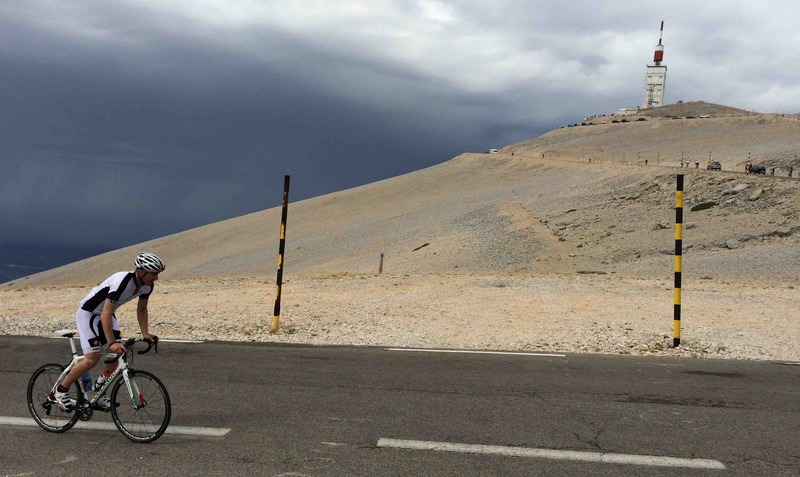 Ventoux (Windy Mountain), which is affectionately known as the Giant of Provence because of how it dominates the landscape. The weather forecast was for it to be very hot today so we got an early start, only to be rained on both on the ascent and the descent. 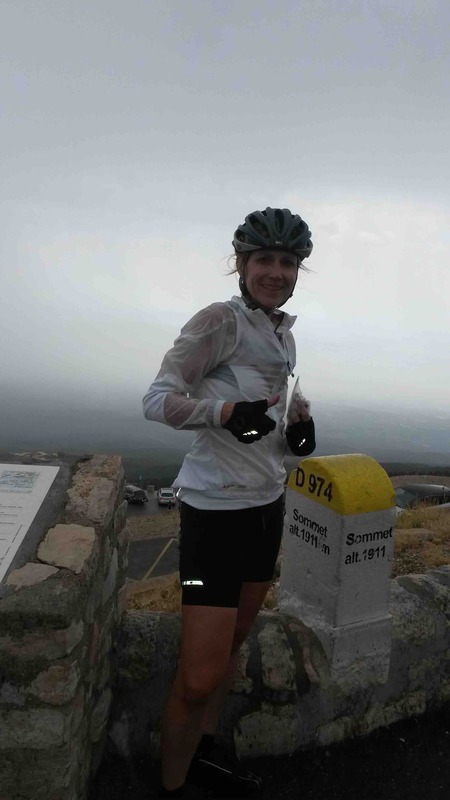 The rain on the ascent was somewhat refreshing, but descending a steep mountain road in a cold torrential downpour is not exactly fun - I had speed wobbles because I was shivering so hard! Fortunately we all made the descent without incident. Here's Tim with about 3km to go to the summit . . . and the storm bearing down on us. And here's a very happy Val at the summit of Mt. Ventoux (where the view is usually spectacular but not today! The rain notwiithstanding it was a great day on the bike! Click here to view my ride data. After three very tough days and approx. 17,000 feet of climbing we plan to take it easy on Wednesday before another epic day on Thursday.